I am a board-certified, orthopedic surgeon specializing in sports medicine, cartilage restoration, and shoulder and elbow care. A 13-year military veteran, I earned multiple honors including the Meritorious Service Medal and Army Commendation Medal. After fellowship training at Rush University Medical Center in Chicago, I served as a team physician for the Chicago Bulls, Chicago White Sox, Chicago Fire and Chicago Steel. In my spare time, I enjoy traveling and hiking with my wife, Sarah, a historical fiction author, and our dog, Gilbert. 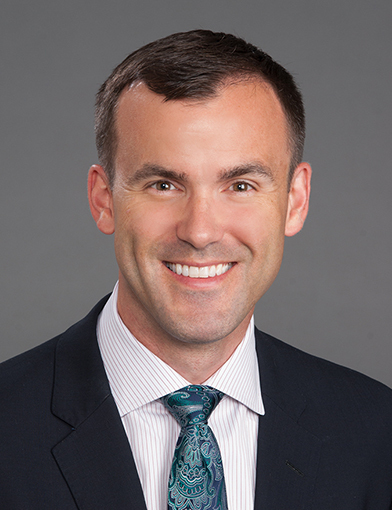 Dr. Brian Waterman is an orthopaedic surgeon at Wake Forest Baptist Medical Center in Winston-Salem, NC. February 27, 2019Dr. Waterman has been an excellent provider. February 8, 2019Very easy to talk with. February 1, 2019Dr. Brian Waterman is one of the most sweetest and mannerly doctor. He doesn't hurry you out the door. He listens to what I have to say. Wake Forest is very fortunate to have such a knowing doctor. January 16, 2019Love Dr. Waterman! December 26, 2018Dr Waterman and staff were excellent. They explained things to my son in a way he understood. They took time with us. December 16, 2018Dr. Waterman and the resident were very friendly and informative. December 2, 2018Dr Waterman is very kind and compassionate . I always feel he has his patients best interests at heart . I would highly recommend him to others . October 29, 2018He was on vacation when I had a f/up appt. and he called in when I was at his office to check up on me. I find this care above & beyond. Calling while he was on vacation. October 26, 2018Doctor is very knowledgeable and one knows he has been doing (working) at his specialty for a long time. Very caring and makes sure patient knows what going on. October 10, 2018he did not read notes from previous visit to refresh his memory on my diagnosis/history - asked me instead. October 2, 2018Dr. Waterman is a very caring and kind man. He is always complimentary of my appearance--which makes a woman feel nice--nothing out of line, just to say he likes the outfit, that I always look spiffy, etc. This was my final visit after my surgery 6 months ago. Sorry I won't be seeing Dr. Waterman again! He did such a good surgery for me that I don't need him anymore!! Sad! September 30, 2018Dr. Waterman was outstanding in all of the areas and I would highly recommend him. September 26, 2018so glad my Doctor sent me here. Dr Waterman explained everything that he would need to do and how he would tackle it. he made sure I understood everything. Very courteous, and professional! September 11, 2018*Dr. Waterman is a great man with great confidence of what he does. He has that sense of humor. I like him I was nervous, but he ease that with encouraging & caring words. September 4, 2018he left the room after telling me the nurse would be in to give me the shot. I didn't realize I wouldn't see him again and I had more questions. July 22, 2018Dr Waterman did amazing reconstructive surgery to my badly injured shoulder. Very professional and personable. July 21, 2018Dr Waterman was what all physicians should be. You dont see his kind of caring and professionalism much these days . I was very impressed and I am retired from the medical field and have had a lot of interaction with doctors over the years. July 18, 2018Great Dr .
May 18, 2018This was a workman's comp case. The doctor was very nice and was more worried about my care than the company who wanted this case rushed. May 16, 2018Dr. Waterman is a wonderful surgeon. He really seems to care and really knows what he's doing. Made me feel comfortable through both of my surgeries and even calls me after each one of them and periodically just to check on me. If I had any other Orthopedic surgeries in my lifetime I would definitely choose Dr. Waterman again. April 28, 2018I considered Dr. Waterman to be outstanding. April 23, 2018Dr. Waterman explained all my options in great detail and let ME make the decision. He made me feel in control of my health and never pressured me into making decisions. April 23, 2018Dr. Waterman went above and beyond. he is excellent. April 18, 2018Dr. Waterman was very thorough in his assessment of my MRIs and extremely conscientious in explaining them to me in terms that I could understand. He spent a generous amount of time to ensure I understood what my options were and displayed genuine empathy for my concerns. Low Rate of Return to Impact Activity Following Core Decompression for Femoral Head AVN in Military Servicemembers. Shaw KA, Mottern E, Parada SA, Burks R, Dumont G, Waterman BR, Nho SJ. Mil Med. 2019 01; 184(1-2):e243-e248. Biomechanical Analysis of All-Suture Anchor Fixation for Rotator Cuff Repair. Bernardoni E, Frank RM, Veera SS, Griffin JW, Waterman BR, Shewman E, Cole BJ, Romeo AA, Verma NN. Orthop J Sports Med. 2018 Jul; 6(7 suppl4):2325967118S00175. The Role of Mentoring in the Development of Successful Orthopaedic Surgeons. Mulcahey MK, Waterman BR, Hart R, Daniels AH. J Am Acad Orthop Surg. 2018 Jul; 26(13):463-471. Measuring Subcounty Differences in Population Health Using Hospital and Census-Derived Data Sets: The Missouri ZIP Health Rankings Project. Nagasako E, Waterman B, Reidhead M, Lian M, Gehlert S. J Public Health Manag Pract. ; 24(4):340-349. The Importance of Comprehensive Cam Correction: Radiographic Parameters Are Predictive of Patient-Reported Outcome Measures at 2 Years After Hip Arthroscopy. Lansdown DA, Kunze K, Ukwuani G, Waterman BR, Nho SJ. Am J Sports Med. 2018 Jul; 46(9):2072-2078.